The new appointees at Virginia State University are Kevin Davenport, Letizia Gambrell-Boone, Ramona L. Taylor, Pamela L. Munden-Off, and Eddie L. Perry Jr. When she takes office in January, Dr. Pamala Valleria Wilson Hammond will the first woman president in the 133-year history of the Virginia State University. She has served as provost at Hampton University since 2009. Dr. Bingham, the former provost at Virginia State University, traced his roots to a Virginia slave in 1703. He also was a descendant of the slave Gabriel, who was executed in 1800 for planning a slave rebellion in Richmond. After meeting in a three-hour closed-door session with the Virginia State University board of visitors, university president Keith T. Miller announced that he will step down on December 31. Over an 18-month period, the American Council on Education worked closely with seven HBCUs to conduct a review and analysis of their current internationalization efforts and to develop a strategic plan for enhancing those efforts. After a campus stabbing and the shooting death of a student at an apartment near campus, the Virginia State University board of visitors has hired an outside consultant to advise them on student safety issues. The championship football game of the Central Intercollegiate Athletic Association between Winston-Salem State University and Virginia State University was cancelled after an incident at the pre-game luncheon. He served as a professor of music and university organist at Hampton University in Virginia. He was the first African American to earn a doctorate in music from the Conservatory of Music at the University of Missouri at Kansas City. Beginning this fall, Virginia State students who are accepted into the program will spend 8 to 10 hours a week performing community service. In return they will receive a stipend from the Corella and Bertram F. Bonner Foundation to support their education. Two Virginia State University students, participating in an initiation rite for a group not affiliated with the university, were swept away by currents in the Appomattox River. Late Monday, police found the body of the one of the men. Another body believed to be the second student was found on Wednesday. Harvey Felder joined the music department and this fall Preston Green III will hold an endowed chair in the College of Education at the University of Connecticut. James Holden, an assistant professor of music, was named interim director of bands at Virginia State University. The university will offer college-level courses at no cost to juniors and seniors in high schools in two additional school districts. Students will earn both high school and college credits. 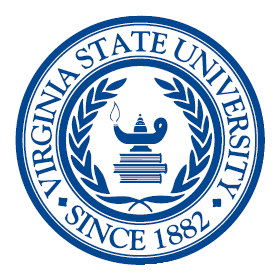 Students will earn both high school credits for taking the courses and if they later enroll at Virginia State, the credits will count toward their college degree. Businessman Earl Stafford’s gift to Virginia State University establishes the Trading Portfolio Fund that will allow students to buy and sell real stocks. Here is new of six appointments of African Americans to administrative positions. High school students can earn a semester worth of college credits.